As endurance athletes we tend to be a “picky” bunch. We spend hours picking out the perfect bike, getting the perfect aero position, devote time to finding just the right chamois for all those hours in the saddle for training, and let’s not forget time spent analyzing and comparing all that training data. We leave no stone unturned when it comes to our equipment and what works best for us, and yet, we will devote more time to filling our water bottles than we will to developing a solid nutrition plan and strategy for training and race day. Your nutrition can be the single source to win or lose your long course event. Proper fueling is not an accident it must be tried and tested before race day to make your body work best for you. Let’s chat a little about what you can do to ensure a happy gut on race day. Gastrointestinal Distress: is most commonly defined as a reduction in gastrointestinal blood flow (circulation) due to a buildup of lactic acid in the blood. This buildup of lactic acid results in the inability of the digestive system to effectively breakdown and process food, absorb nutrients to be used as fuel and clear the bowel. Peristalsis (The wave like muscle contractions in the intestine that help clear the bowel) is greatly compromised during gastric distress and can even cease until blood lactic levels return to normal. The onset of Gastric Distress differs for every athlete and this is why it is important to practice your nutrition in training and not on race day. In general, most athletes will start to develop GI distress at 120 -180 minutes into race pace training or racing. Symptoms include: nausea, diarrhea, stomach cramps and pains, bloating and burping. Almost all endurance athletes will experience gastric distress and women are more likely than men to experience GI distress. How does Gastric Distress affect my training/ racing? When training practice what and when you will be eating. Don’t forget pre-race nutrition starting the week before your goal event. Glycogen stores, hydration and even the amount of sleep you get all impact your body many days out from your goal event. 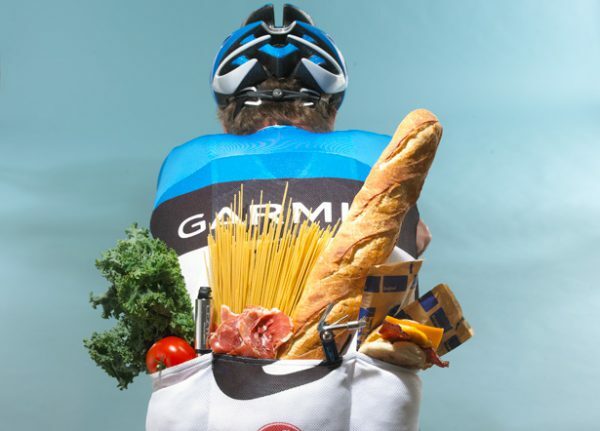 Timing your Race Day nutrition: Your pre-race meal should take place at least 2 hours before your event and consist of simple protein and carbohydrates. The amount of protein is something that can be very individual, based on tolerance, so training is imperative. Try a peanut butter sandwich, egg whites on toast or protein shake. Avoid cheese as a source of protein or heavy dairy as they are taxing on your digestive system to break down and use for fuel. Probiotics: Endurance athletes put their bodies to the test repeatedly for weeks on end. This long term training causes the digestive system to be taxed and drained of the good bacteria and flora that breaks down the consumed food to be used as fuel. A probiotic is simply a dose of “good bugs” or bacteria to replenish our gut and help the digestive system break down the nutrients to be used by the body. Fruits may not be friends on race day: The week before the goal event you can utilize fruit as a natural source of energy and vitamins but fructose is harder to digest and usually contains a good bit of fiber which is not ideal for race day. The fiber in the fruit negates the effectiveness of carbohydrates so limiting fiber for a greater use of carbohydrates will reap gains on race day. If you have a bit of congestion, fruit juices can sometimes increase phlegm which could make breathing or swallowing a bit more labored. Avoid dairy on race day: As we touched on above, the proteins in dairy products are harder to break down and will take longer to digest than other foods and cause more energy to be used by your endocrine and digestive system that could be sourced by your muscular system. Mighty Magnesium! Magnesium is a proven natural source to help the body buffer lactic acid build up and prevent cramping. Dried Apricots are a great source of concentrated magnesium. You can also use a magnesium supplement that is covered in oyster shell calcium (for better absorption) as a daily supplement. The magnesium source should be consumed at least 3-4 days before the goal event if not taken every day. Simon Bennett is an elite road, track and multisport coach for APEX Coaching. As an Australian Level 1 Triathlon Coach and Silver Level Swimming Coach he had several of his athletes selected to compete at the Australian National Triathlon Championships, ITU Elite races and Swimming National Championships. Simon was a podium endurance coach for British Cycling during the last Olympic cycle with 6 of his athletes winning gold medals in Rio on the road and track. For more information on Simon, click HERE.